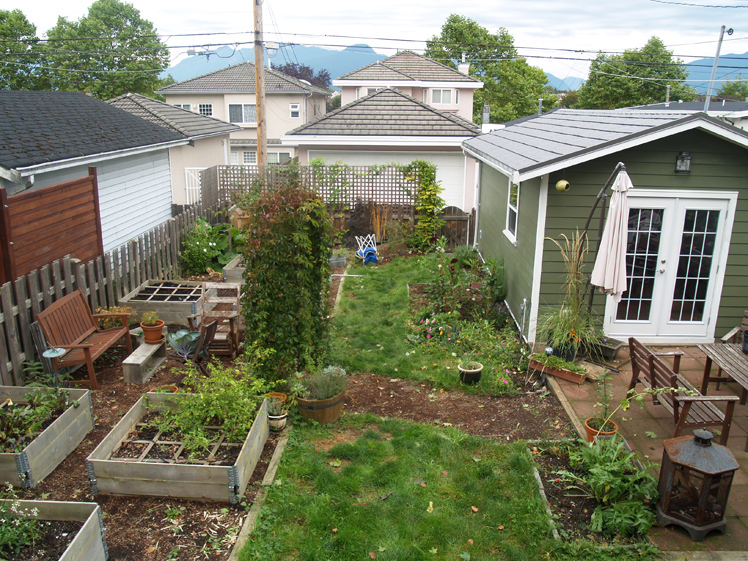 A short post to round off the weekend – it’s been awhile since I’ve written about the garden, and even longer since I’ve done any appreciable work out there – but now it’s time for fall clean-up! My co-worker commented the other day that she hates fall clean-up because it’s cold out and there’s no reward in the form of spring anticipation – but with the lovely weather this morning I was glad to have a little excuse to be outside for a couple of hours. And of course, reward is all a matter of perspective – I was prepping for garlic – and I can’t help being excited for that! additionally added soil and compost to one of the boxes in preparation for planting garlic! Along with the two plum trees, I’ve got two new blueberry bushes and about 100 spring-flowering bulbs to put in when we get back from NYC. Plus the garlic, and the rest of the clean-up that needs to get done before the real rains come. ← One long struggle in the dark. is that a fence i see on the neighbor’s side of the fence?! Uh yes – Our hater-neighbour built the great wall this summer – which is probably for the best because we don’t have him standing at the fence and glaring at us anymore. 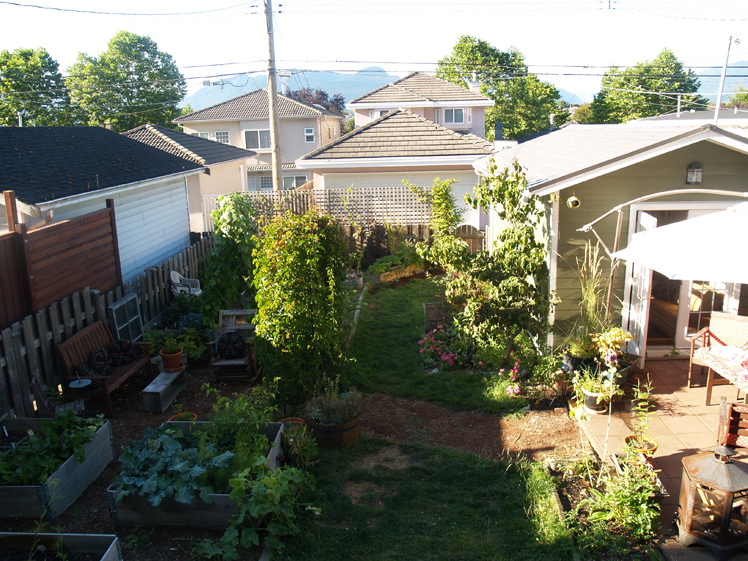 I’m going to beautify our side in the spring with some drift-wood trellising and garden-art ideas I have (which I wanted to do before but didn’t want to encroach on his view of our yard which he thinks is ugly.) Good thing is, he’s blocking daylight in his yard not ours.